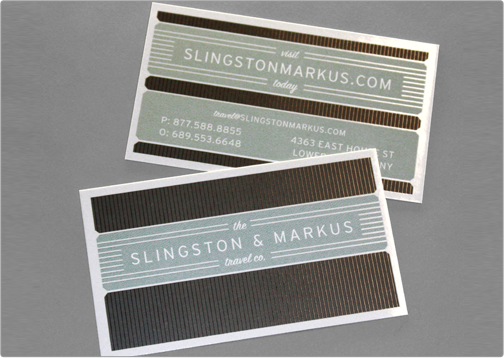 The Slingston and Markus Travel Co. 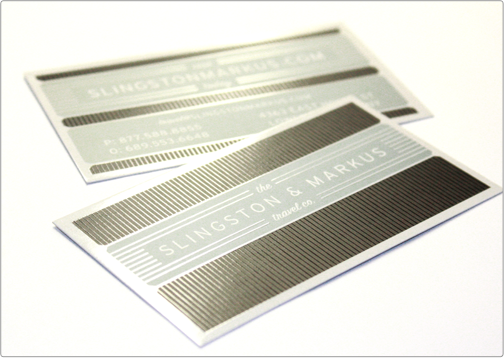 Silk Card incorporates spot gloss highlights to an already fantastic and eye-catching design. Specs: standard cut 16pt silk bc/ spot gloss 2 sides.